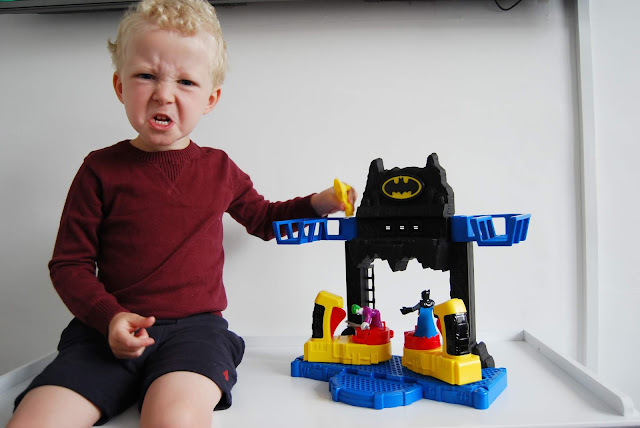 Imaginext figures, vehicles and playsets have been Noah's favourite toys for quite some time now. He's collected so many over the past couple of years and he plays with them every day without fail. His beloved Imaginext figures have been on days out with us, they've been to nursery with him, they go in the bath with him and some have been abroad a few times too! 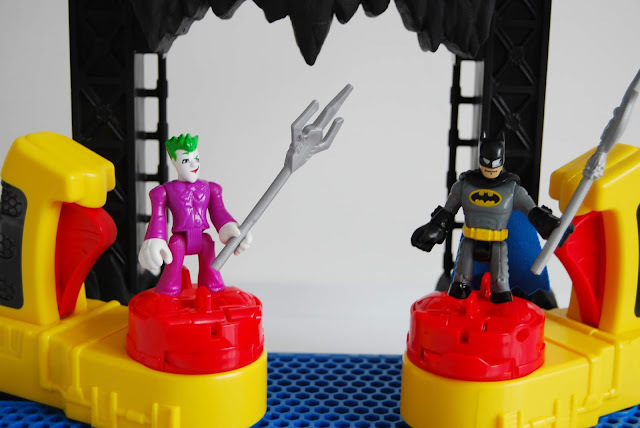 With him being such a huge fan when we were sent the Imaginext DC Super Friends Battle Batcave to review I was so excited for him! 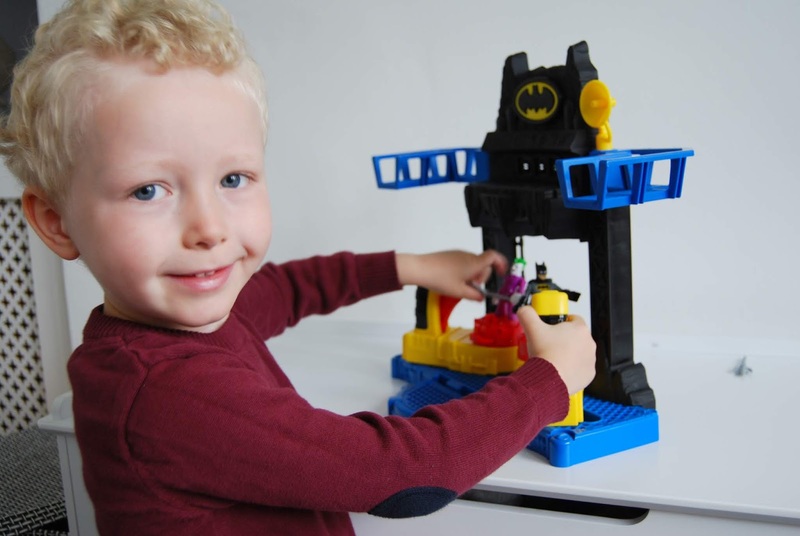 Noah couldn't contain his excitement when it was delivered and thankfully he didn't have to wait long to play with it as it didn't need to be assembled. It was ready to go and doesn't use batteries either! 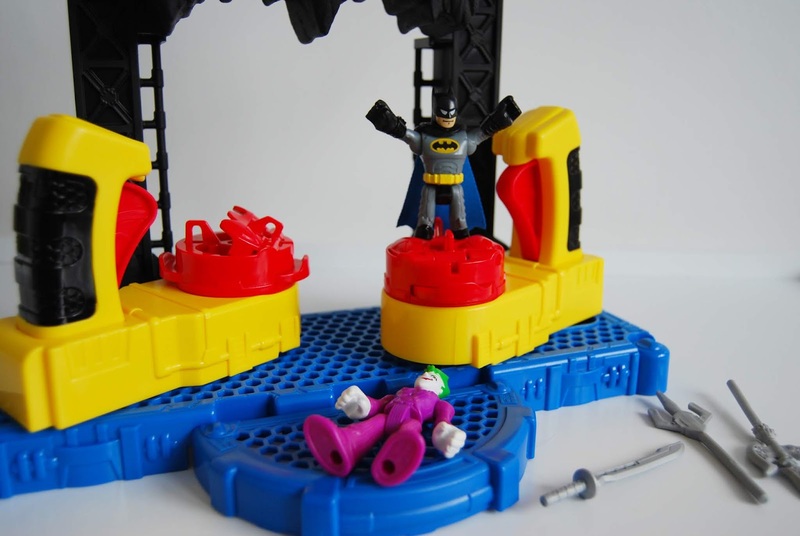 Included with the playset are x1 Batman figure, x1 Joker figure and x4 weapons. Additional figures can be purchased separately. This Imaginext Batcave is the perfect place for Imaginext Justice League Super Heroes and their Super-Villain enemies to train and face-off in an ultimate battle. It's one impressive playset, one that made Noah gasp when he first saw it! It has not one but two levels to explore, featuring a ground floor battle arena where figures can train or fight, and a second-floor deck and arsenal where they can spectate or line up ready to take part! To prepare for battle simply place your chosen Imaginext figures into the controllers on the battle floor by simply clicking their feet into place. Equip them with a weapon and then they are ready to fight. To start the battle simply squeeze the triggers to see the figures spin around at superhero speed, then push and pull the controllers back and forth to try to knock your opponent out of their stand! 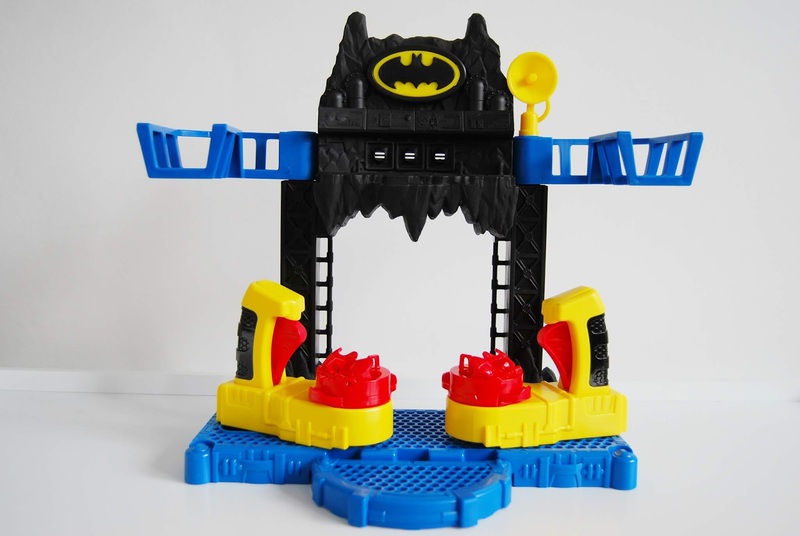 The Battle Batcave is a great addition to the extensive range of Imaginext toys as it brings a whole new aspect to play. 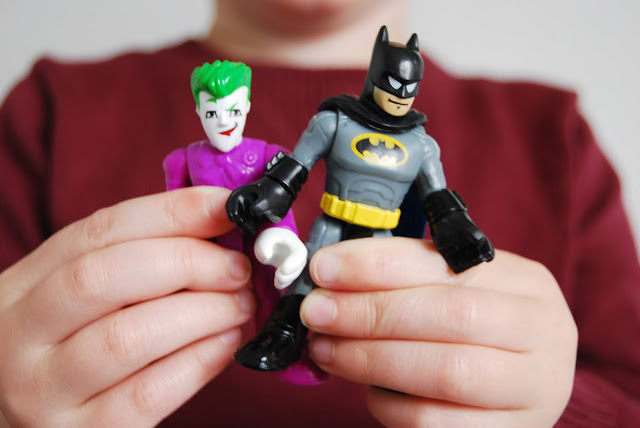 It's inspired him to create new scenarios for his superheroes and villains and encourages him to use his imagination more. It's quickly become one of Noah's favourite playsets and I think that he'll be playing with it for years to come. 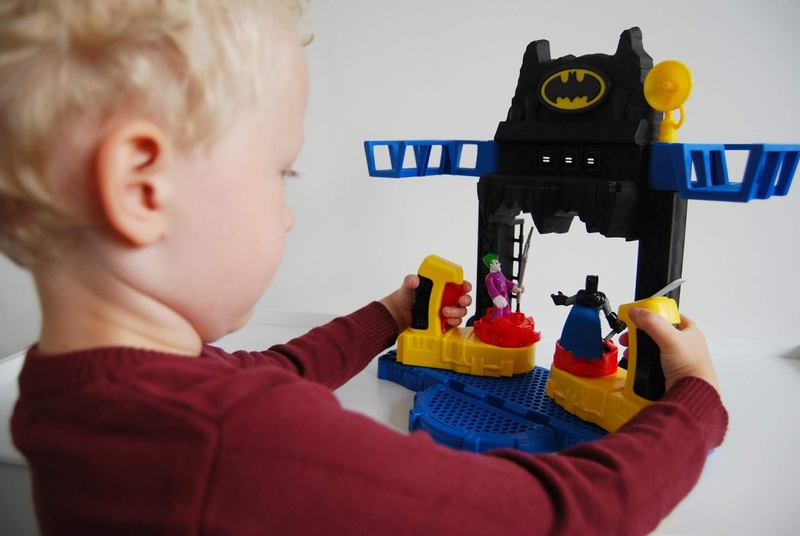 Suitable for 3 years+ it retails at £36.99 and is available online and in most toys stores. - We were sent this product for the purpose of this review, however, all opinions are my own.